Stretching the One Income Dollar: What is the Attraction of Casinos? What is the Attraction of Casinos? Gambling is almost as old as humanity itself. People like to do bets for example, either in hope of winning money or in hope of winning an argument. The chance to win money, that’s not earned or worked for is the dream of millions all across the globe, ever since the institution of money exists. However winning is not as easy as it may seem. This makes the game even more exciting and out of this excitement the passion and obsession of gambling is born. Gambling can be a great hobby, a real recreation activity, until it’s kept under control. Casinos have been the playground for the rich and famous for many centuries now. Originally founded by Italian nobles, the old time casinos weren’t only used for gambling, that was only one out of the many recreational activities these houses used to offer: quite similarly to today’s Las Vegas hotels, where apart from visiting a casino, you can enjoy other activities too. Today, as casinos can be played online as well, gambling generates double as much in profit than before. 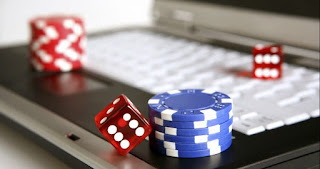 Casino websites are becoming extremely popular and highly visited on an international level. Macau: this former Portuguese colonial city, just right next to Hong Kong is in fact the largest gambling centre in the whole world, generating billions of dollars of income each month. Macau largely profits from all the people who arrive from Hong Kong and other nearby Asian cities by boat or by plane to enjoy the atmosphere of traditional Chinese and Western style casinos. Monte Carlo: being world famous for its exclusive and lavish casinos and luxury hotels, Monte Carlo is still making the majority of its profits from gambling. It has the most picturesque, traditional French –style casinos which are visited by stars, nobles and tourists as well. Singapore: many people do not know that Chinese are one of the most passionate gamblers in the world. And Singapore provides just the best playground for all sorts of gambling activities. The exquisite looking Sentosa Island hosts a whole resort village, that houses numerous casinos and the mainland city has its fair share of gambling activities as well. Estoril Cascais Portugal: the Casino Estoril is in fact the largest Casino in the whole of Europe and it welcomes thousands of visitors on a daily basis. Atlantic City: located on the East Coast, Atlantic City is the little brother of Las Vegas, offering hundreds of casinos for its visitors. It has a large yearly tourism, however due to the weather conditions, it’s much more seasonal than Vegas and it flourishes especially during the summer months. Other honorable mentions include the casinos in Sydney and Melbourne and the popular casino ships in Israel. Check out one of the real or reputable online casino websites to try yourself in gambling. However, remember to play for fun and maybe get yourself a good win too!